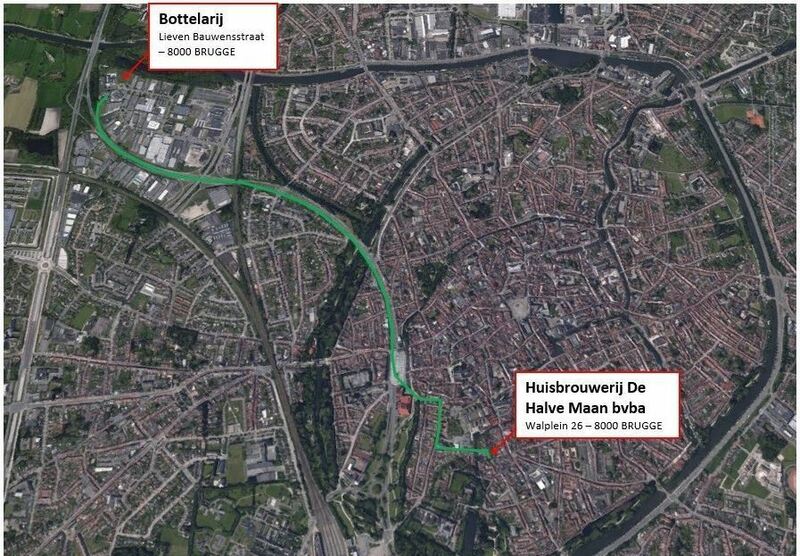 A Beer, A Plan, A Pipeline: Belgian Brewer Will Funnel Beer 2 Miles Away : The Two-Way When he launched his plan last spring, brewery CEO Xavier Vanneste said it was "no longer sustainable" to rely on trucks to cope with its growing production levels. Tourists ride in a boat down a main canal in Bruges, Belgium. A brewery in the historic city is building a pipeline to send thousands of gallons of its beer to a bottling plant without clogging narrow cobblestone streets. Top supporters of an audacious Belgian pipeline will get a bottle of beer every day for the rest of their lives. 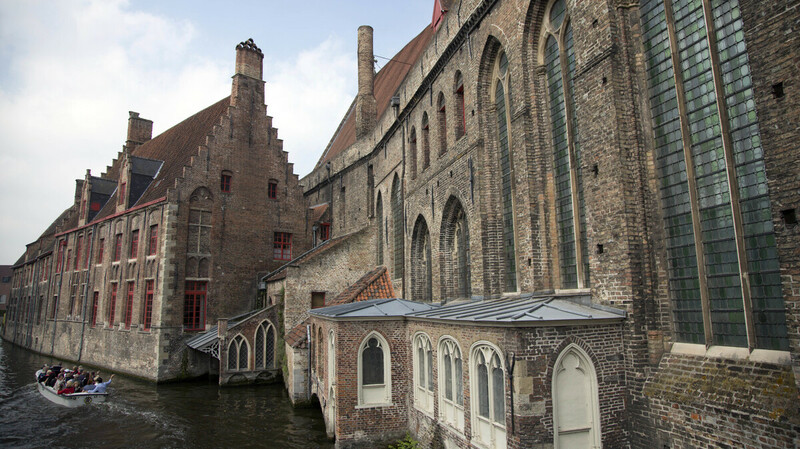 That's in return for putting more than $8,000 toward bringing a pipe dream to life, and helping a brewery remain in the historic town of Bruges. Since last year, De Halve Maan, which produces two famous beers — Straffe Hendrik and Brugse Zot — has been making headlines for its solution to a nagging problem: How to get beer from its brewery to a bottling plant some 2 miles away without forcing large trucks to navigate the narrow the cobbled streets for which Bruges is famous. And now, thanks to a crowdfunding project that raised more than $300,000 (according to Flanders News), the company hopes to complete its beer pipeline sometime around summer's end. When he launched his plan last summer, CEO Xavier Vanneste said it was "no longer sustainable" to rely on trucks to cope with its growing production levels, particularly in a city whose core is ringed with canals. In a recent update on the project, Vanneste tells the AP that the pipeline, which crosses at least one canal and a busy highway, will be able to handle more than 1,000 gallons of beer an hour. "This beer pipeline means that we'll be able to remain in the city," Vanneste says on his company's website. A map provided by the Halve Maan brewery in Bruges, Belgium, shows the projected path of a beer pipeline, from the brewery (lower right) to its bottling plant. That's good news for both the city and its visitors: According to the website Belgian Beer and Food, the family-owned Halve Maan brewery is popular with tourists, luring visitors with scenic views, a brewery museum and tour — and its complex and flavorful beer. The crowdfunding campaign closed at the end of 2015. According to Flanders News 21 people sprang for the gold level that brings a beer a day for life; other supporters went for the silver package, in which around $900 brings a case of beer every year for life. "The pipeline should be complete by the summer of this year," Flanders News reports. "The investment is needed to allow the brewery to continue growing. Sales of Brugse Zot have risen by 30 percent and the beer is now available in 30 countries."